A concert for the benefit of Operation Blessing. Attendees are asked to bring nonperishable food items or a monetary donation. Featuring the music of Gustav Holst, Percy Grainger, Andrew Lloyd Webber, John Lennon and Paul McCartney, and more. Our annual winter concert is scheduled for Sunday, January 20, 2013 at 3pm in the auditorium at Canfield High School. It will feature a British-themed program of classic concert band literature and popular favorites, including pieces by Gustav Holst, Percy Grainger, The Beatles, Andrew Lloyd Webber, and more. As we have in the past, we will be presenting this concert for the benefit of Operation Blessing and we are asking attendees to bring a donation for their food bank. We have a full rehearsal schedule to prepare for the concert. Brian has planned a schedule for each rehearsal detailing what we'll be working on so members can prepare. It's available for download here and the details are listed on each rehearsal event on our calendar as well. Take note of a few exceptions to our regular rehearsal schedule—we'll be at the middle school on Dec. 4th and 11th. And due to the Christmas and New Year holidays falling on Tuesday, there will be no rehearsals those two weeks. Please remember that rehearsal tonight (July 10) is cancelled. We will practice as scheduled next Tuesday (July 17), but it has been moved to the Middle School band room. We will be rehearsing some new music for the upcoming concerts at Louisville and St. Michael's church. Please be there. In other scheduling news, please note the addition of the August 7 concert at Shepherd of the Valley's West Blvd./Boardman location and the September 2 concert at the Canfield Fairgrounds historical village. Did you miss our first outdoor concert of the season? Disappointed that rain spoiled the second half? Not to worry, there are many more opportunities to take in a summer concert. Make sure you follow our Calendar of Events to see the latest updates on our performance schedule. We have added some new events later in the summer, including our annual appearance at the Canfield Fair. As you prepare for your Fourth of July celebrations, be sure to include some time for one (or all) of our concerts this week. We'll be performing at Buhl Park in Hermitage this evening, July 1, at 6 p.m. Tuesday, July 3 we'll be in Austintown Township Park at 7 p.m. And on July 4, we'll take part in the festivities at Firestone Park in Columbiana. Our performance there will begin at 5:30 p.m. This week's concerts will feature music of American composers and patriotic favorites. 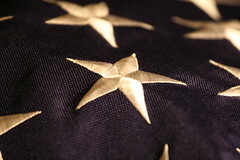 Photo: E Pluribus Unum - From Many, One, by Randy Son Of Robert.